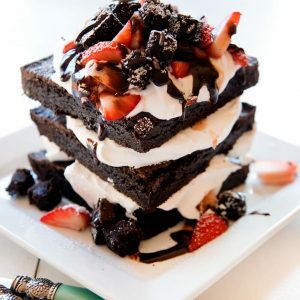 Creating a beautiful and delicious brownie stack is easier than you would think and tastes as good as any Bakery treat! Place into a jar or airtight container. Spread batter in a prepared 9-inch cake pan and bake for 22-25 minutes at 350 degrees.